In today’s time where the flow of culture and people around the world has become familiar, more and more youngsters are opting to go abroad and study. Out of many countries, student’s priority is usually the United States of America (USA). A number of students from around the world are trying to go to the US for further studies. However, as the number of students has increased, there is a tough competition in going abroad. The catch is that if you belong to a country where English is not the first language then you have to go through an English proficiency test, and one out of the two popular tests is TOEFL (i.e., Test of English as Foreign Language). The marks obtained in this test is usually accepted in the Universities of America. Now if you are determined to go abroad and study, then you have to clear and score good marks in TOEFL which requisites a good amount of preparation. While students get themselves into the preparation of this test, they often come across various myths prevailing here and there, which may ultimately hamper their performance. • Students think that for getting a good score in TOEFL, it is necessary to speak in an American accent in the speaking section or they would lose a lot of marks. • Students often think they have to read almost all the academic subjects in order to do well in the reading section. They assume that it is helpful in being familiar with the questions that might come in the test. • One of the most non-sense myths surrounding these days is that student who is from the Philippines have different and simpler course for this exam, as compared to the course of other countries. • Students often think that writing more number of words than mentioned in the writing section will help them secure better marks. • Students think that in the listening skill test, it is only necessary to listen well and it is useless to make notes while that process. They assume that only listening with full concentration; they will be able to answer the questions after the recording is over. 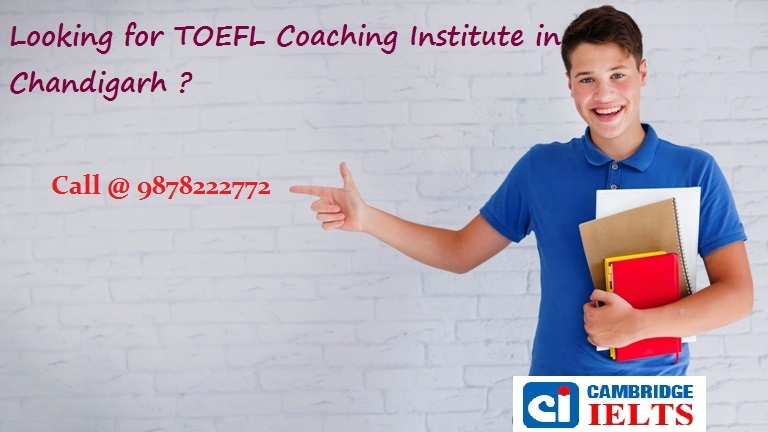 So, if you are an aspirant of TOEFL remember not to concentrate on these myths and have the right guidance from the best TOEFL coaching institute in Chandigarh. Talk to people who can actually tell you the reality of this test and can help you in the preparation as well. In the end, have faith in your preparation and knowledge and work according to your understanding.